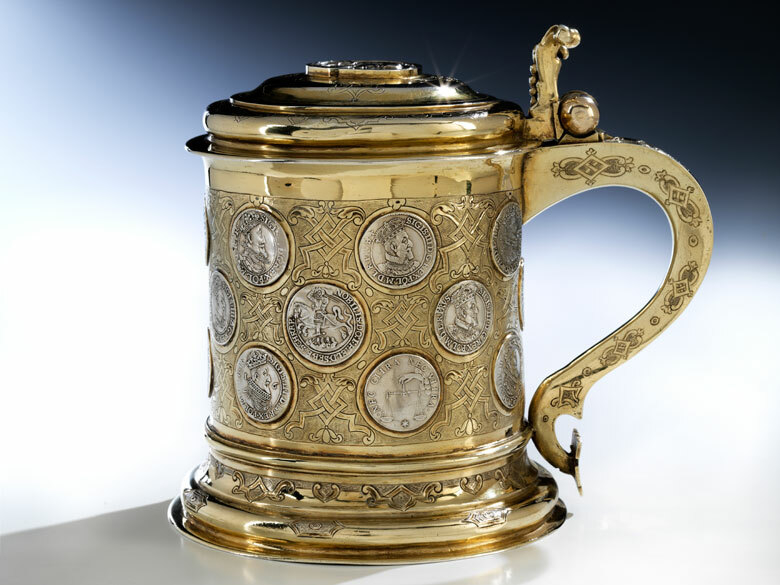 Durchmesser des Fußes: 16 cm. 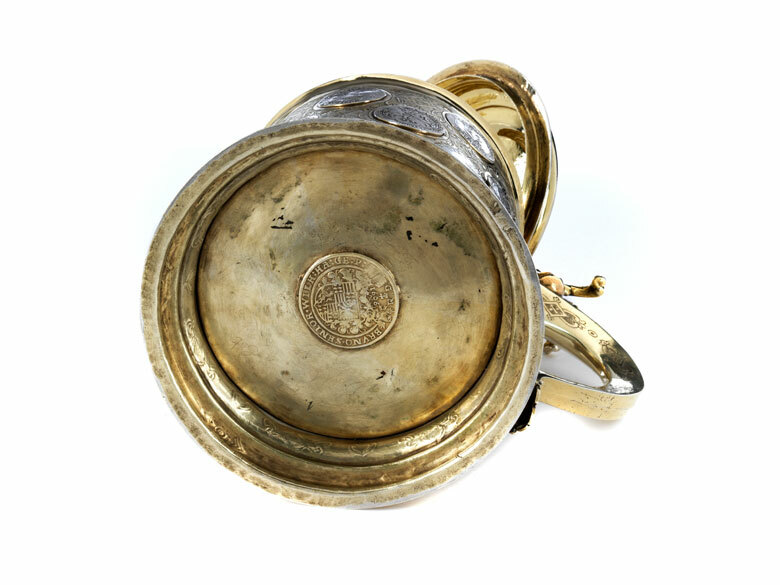 Diameter of foot: 16 cm. 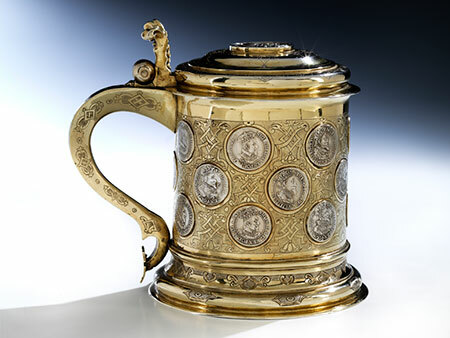 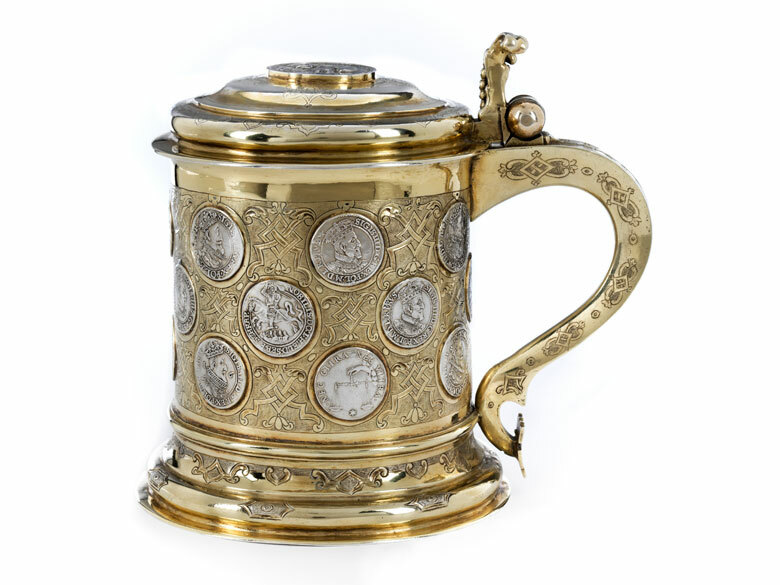 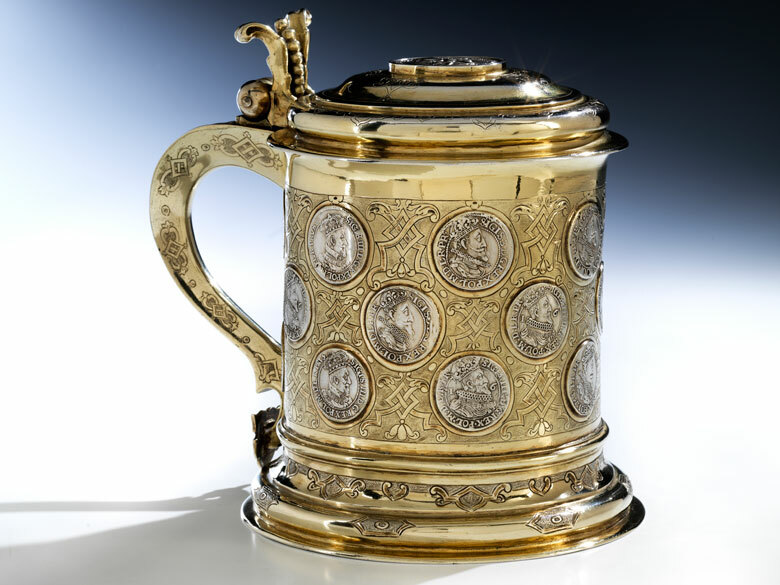 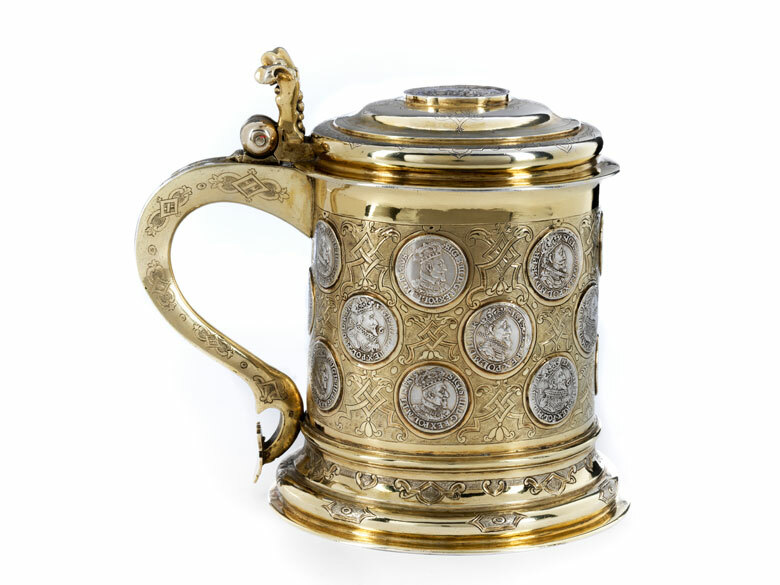 Silver-gilt tankard inset with 23 coins. 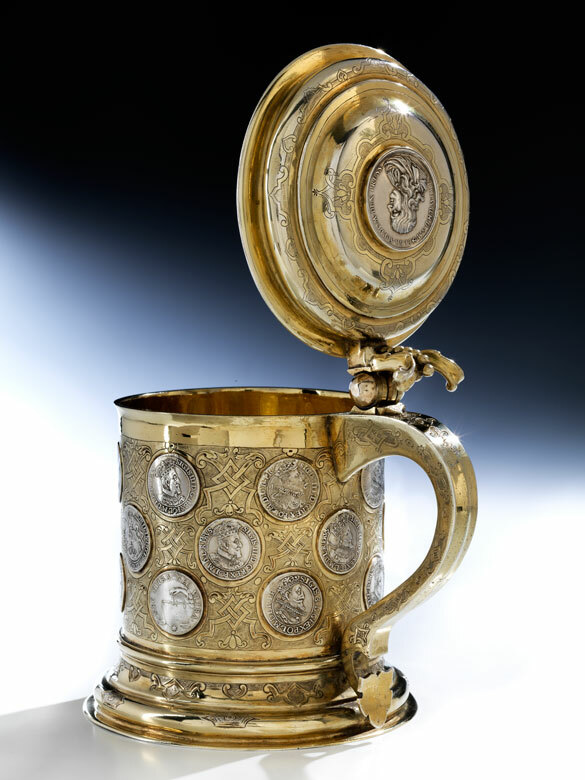 The cylindrical vessel is decorated with coins arranged in three rows, predominantly showing Sigismund III Vasa, King of Poland (1587 - 1632). 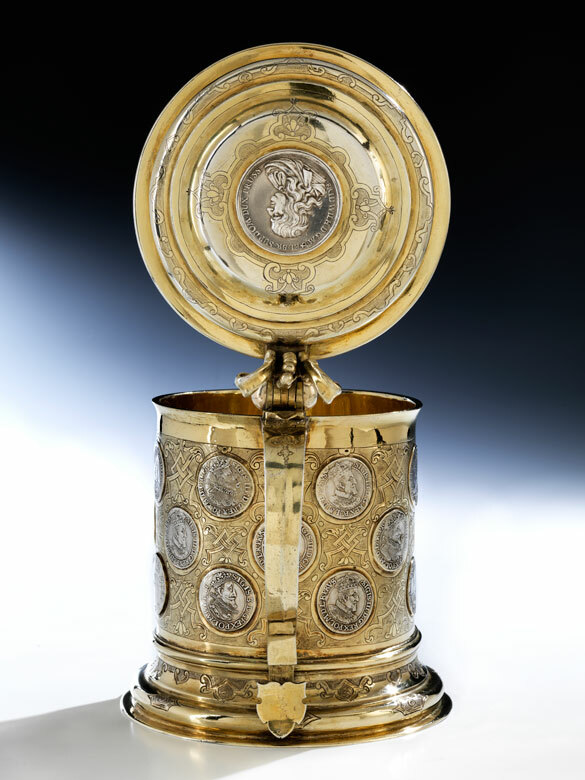 The outer-facing side of the coins shows the King's portrait while reverse shows two lions holding the coat of arms of the city of Gdansk. 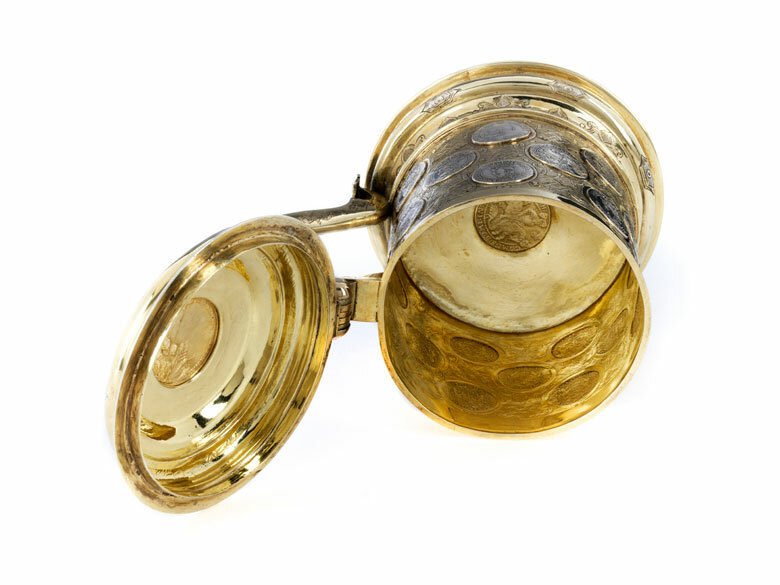 The coins can be dated between 1611 and 1625.